Because of shortest ferry ride and cheapest fare from Kuah on Langkawi Island to Kuala Perlis Jetty, ferry service from Langawi Island to Kuala Perlis Jetty is the most popular choice among the visitors, as compared to Langkawi Island to Kuala Kedah and Langkawi Island to Penang. It takes about 1.25 hours Kuah on Langkawi to Kuala Perlis jetty by the high speed ferry. The ferry fare is RM 18 for adult and RM 13 for child. The first ferry departs from Kuah Langkawi Island at 7.30am morning and the last departure ferry is at 7.00pm evening. 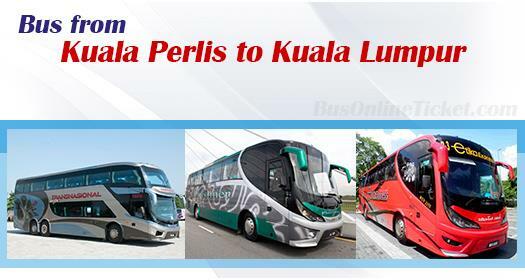 Online booking for ferry service from Langkawi Island to Kuala Perlis and Kuala Perlis to KL bus ticket is available. Alternatively, visitors can also buy ferry ticket over the counter for next ferry departure. The High speed ferry leaves Kuah on Langkawi Island for Kuala Perlis Jetty about 1.5 hour interval, depending on demand and the season. Therefore, visitors do not need to worry so much of long waiting time at Kuah on Langkawi Island.